Bonn, 4 February 2019 - The Secretariat of the African-Eurasian Migratory Waterbird Agreement (UNEP/AEWA) is pleased to announce the call for applications for a Training of Trainers (ToT) workshop on the Flyway Approach to the Conservation and Wise Use of Waterbirds and Wetlands, scheduled to take place from 6 to 10 May 2019 in Cotonou, Benin, at the kind invitation of the Government of Benin. 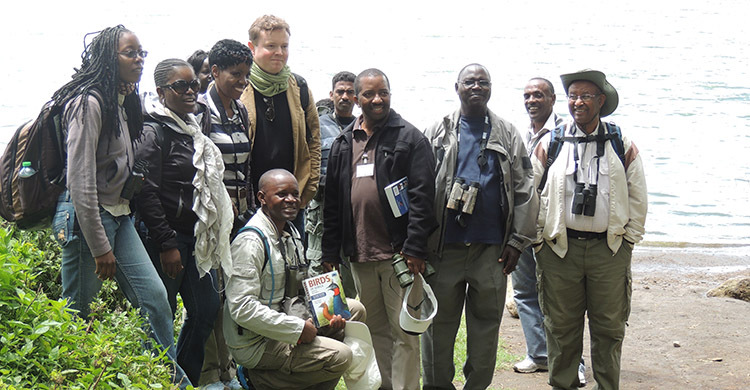 The ToT course aims to enhance knowledge and understanding on flyway conservation for the conservation and sustainable use of waterbirds and wetlands and particularly to better equip participants for the design and delivery of similar national training courses. It will be delivered using existing training resources including the Flyway Training Kit (FTK) developed under the UNEP/GEF African-Eurasian Wings Over Wetlands (WOW) Flyway Project, the training kit for waterbird identification and counting of the National Bureau for Hunting and Wildlife (Office National de la Chasse et de la Faune Sauvage – ONCFS), guidelines for the International Waterbird Census and the BirdLife International framework for monitoring Important Bird and Biodiversity Areas. Potential candidates targeted for this course include technical and professional personnel from both governmental and non-governmental institutions involved in the field of higher education or environmental conservation and management and with experience in teaching/training, capacity building or awareness-raising. Further information on the qualifications for candidates can be found in the detailed Terms of Reference. French will be the working language for the ToT course. Interested qualified candidates from eligible countries are encouraged to submit their applications before the deadline of 15 February 2019, using the dedicated application form. All applications must be submitted to the AEWA National Focal Point in the respective country for the pre-selection process, with a copy to the UNEP/AEWA Secretariat (evelyn.moloko@unep-aewa.org and birgit.drerup@unep-aewa.org). Further information on the ToT course can be obtained from the UNEP/AEWA Secretariat. The European Commission were recognized as Champion Plus for their generous support of and commitment towards the AEWA African Initiative for the period 2017-2020. This activity has been funded with the contribution granted by the European Commission under the Migratory Species Champion Programme and through the Global Public Goods and Challenges (GPGC Programme) Cooperation Agreement with UN Environment.